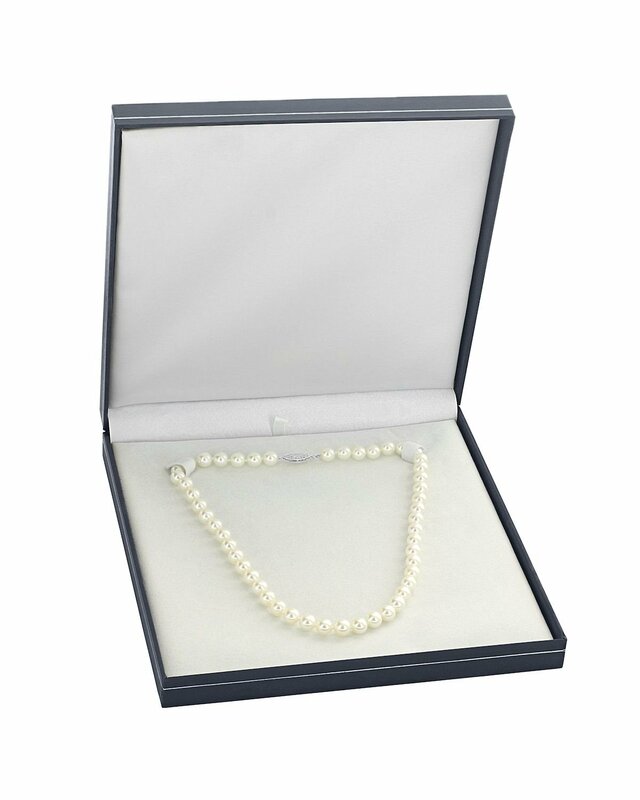 This beautiful Akoya pearl necklace ranges between 7.5-8.0mm in size and consists of beautiful and lustrous pearls in AAA quality. 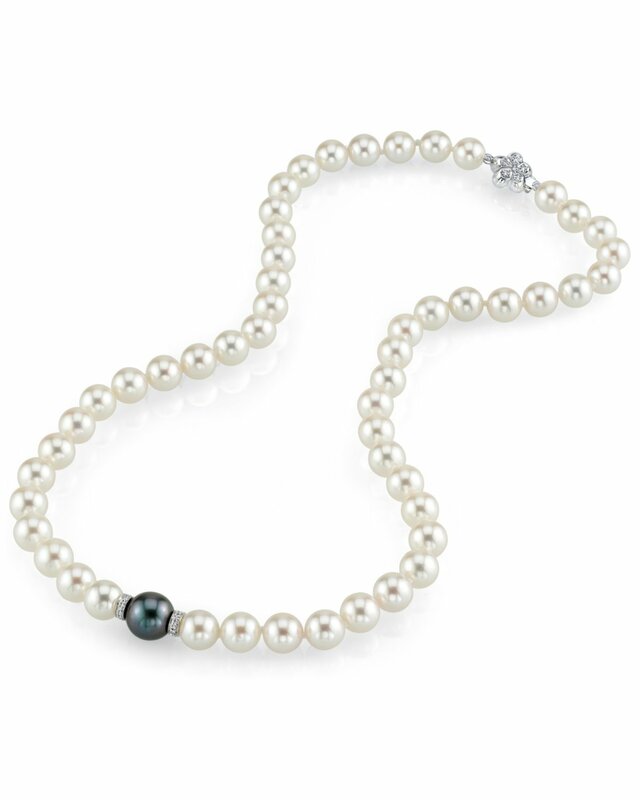 This exquisite necklace features a 9.0-10.0mm AAA quality Black Tahitian South Sea pearl surrounded with two diamond rondelles made with dazzling SI clarity diamonds. All pearls in this necklace are round and strung with silk thread and double-knotted between each pearl. Premium clasps can be selected for an additional cost.